We've been eating peanut butter since we got the all clear from the doctor. No allergies at our house! Which is good, because this week, the kids discovered the joy of eating a big spoonful of peanut butter...just like their Grandpa! For as long as I can remember, he has come home from work, and grabbed a spoonful of peanut butter as a pre-dinner snack. Looks like his grandkids are following in his footsteps! I got this little surprise in the mail this week! At the beginning of the year, we had a wonderful photo shoot with Abundant Moments Photography. 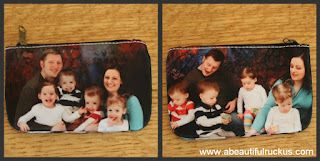 Debra took the family photos and turned them into an awesome coin purse which she sent to me out of the blue. So sweet! I love doughnuts! LOVE doughnuts! My sister-in-law brought a dozen over when they came to play last weekend while Sean was out of town. Awesomeness! Oh, and did I mention that my in-laws brought over doughnuts the day before as well? 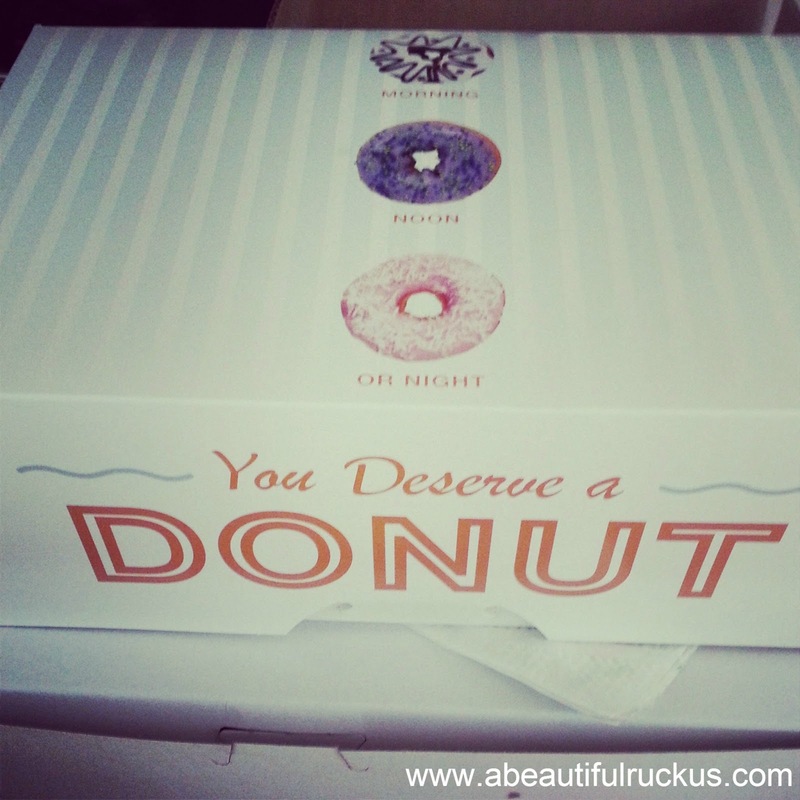 I was seriously in doughnut heaven all weekend long! This was a photo of Abby to go with a silly story about her. 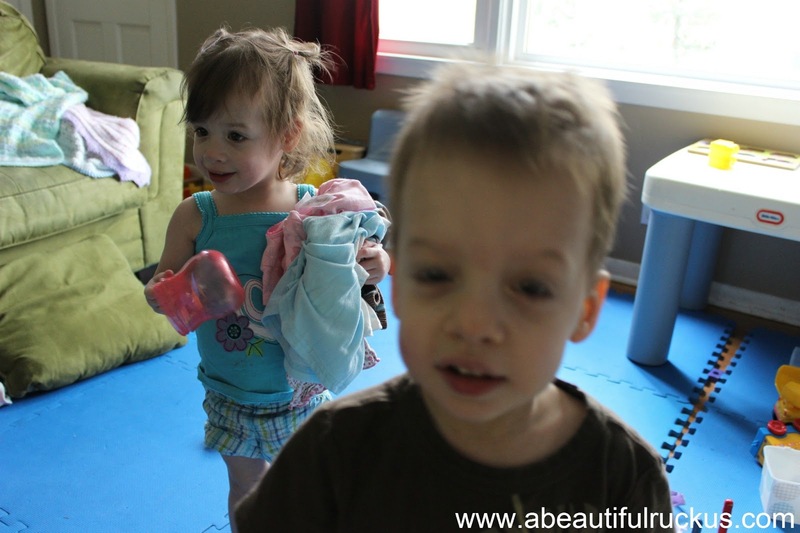 She taken to grabbing armfuls of random clothes on her way downstairs when she gets up in the morning or after a nap. I have no idea why she does it, but if I stop her, there is a huge meltdown. As soon as she gets the clothes downstairs, she puts them down and is done with them. Thoughts? So anyhow, I thought it was funny, went to take a photo, and *pop! * Elijah decided to photo bomb it. Yeah, I think he knew what he was doing...hehe! You can link up! Below where it says "the little things link up" click the blue button that says "add your link". Super easy, and fun! Momma Melly, I hope you do join us! It's posted weekly, so I hope you will become a regular! 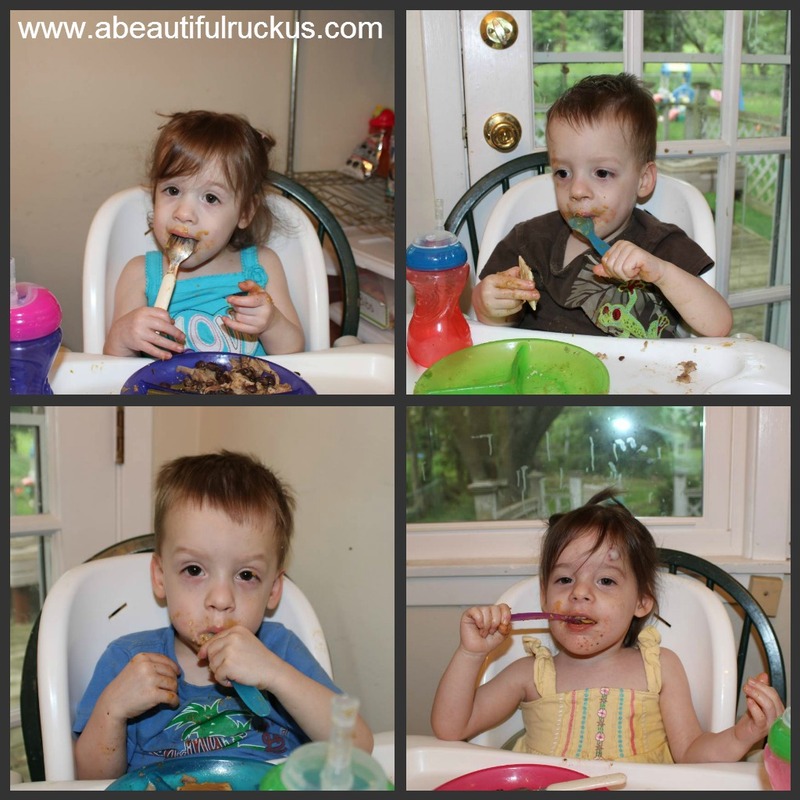 We LOVE spoonfuls of peanut butter too. We make "peanut butter snacks", which are spoons of peanut butter with a few chocolate chips on top. I'm sure our babies will come to love the snack as well. It's a pretty healthy snack, so I'm delighted that they like it! Especially Abby. She doesn't get enough protein to make me happy, so peanut butter is my fallback to get her to eat enough.